Elected in 2015 for a 4-year tenure, Peshawar City District Council comprises a total of 132 members, of which 92 are directly elected as representatives of their respective Union Councils (UCs), which in turn are numerically ordered by geographical constituency. The remaining seats are reserved, with a permanent allocation for 30 women, 5 youth delegates and 5 agricultural workers. Beneath the District Council sit 4 town councils, each with a separate mayor and set of councillors, with 127 neighbourhood councils and 250 village councils representing a further two tiers of authority. Like Nowshera, Peshawar City District Council’s authority is mandated by the Khyber Pakhtunkhwa (KP) province Local Government Act 2013, making way for elections in 2015 to introduce the first district-level government since direct provincial and military control was imposed in 2005, suspending local councils. Within the current district administration are 21 devolved departments, for which the Nazim has overall financial and administrative authority, exercised through departmental chairs. This includes district-level control over education and health, provided under the 2013 Act in KP. As the main town of KP, Peshawar is also distinct within the province in being designated a City District Council, as opposed to a District Council, though this denotes no de jure difference in authority or hierarchy compared to other districts. Pakistan ranks fifth in the 2017 Global Terrorism Index (GTI) on the basis of data on 2016 attacks, with an official total of 956 deaths from terrorism that year, representing a 59% decrease from its peak in 2013. It holds a GTI score of 8.4, as one of the five countries most affected by terrorism which combine to represent three quarters of all globally recorded deaths from terrorism in 2016. Terrorism and violent extremism has largely met with a military response, with numerous military operations in recent years designed to clear insurgencies, which in addition to killing suspects and weakening the operational capacity of core groups is also recognised to have pushed activity over the border and into Afghanistan. The transnational operability and cooperation between the TTP and the Afghan Taliban prevent either group from being seen in isolation. Conflict and terrorism in Pakistan has a significant bearing on transnational ideological patterns and violent extremism pull factors, with colonial legacies as well as ongoing issues such as the conflict in Kashmir serving to motivate Islamist activity elsewhere around the world. Pakistan occupies a major strategic position, therefore, not only in regional conflict and violence but international trends and influences. In short, terrorism levels and efforts to prevent and counter terrorism in Pakistan play out in communities and conflict around the world. With P/CVE included within the remit of the National Action Plan, which centres on CT policy but encourages a growing role for Provincial interior ministries, the Pakistani National Assembly in 2017 passed legislation to establish a new National Centre for Countering Violent Extremism, designed to coordinate national and inter-agency efforts. Two key demographic shifts underline the importance of developing effective prevention in Pakistan. Thanks to exorbitant birth rates, Pakistan is a young country with 70% of the total population of 180 million under the age of 30 and a total population projected by the World Bank to rise to more than 300 million by 2050. Second, a young population in search of jobs and economic opportunity is driving rapid urbanisation, whilst ethnic, sectarian and kinship ties remain steadfast in- and out-group identifiers. Depressed economic growth coupled with a lack of education, particularly for women, exacerbates a picture which poses significant risks to stability and security, with considerable international and regional ramifications. Peshawar has much more direct experience of terrorism and violence, compared to Nowshera or other urban areas in KP. As the province’s main economic hub and an important thoroughfare connecting the border regions to the rest of the country, Peshawar has been consistently targeted by terror groups. This includes numerous powerful suicide blasts, often carried out by lone attackers and incurring high fatalities, as well as coordinated gun attacks like that on a school which killed 148 people in December 2014. 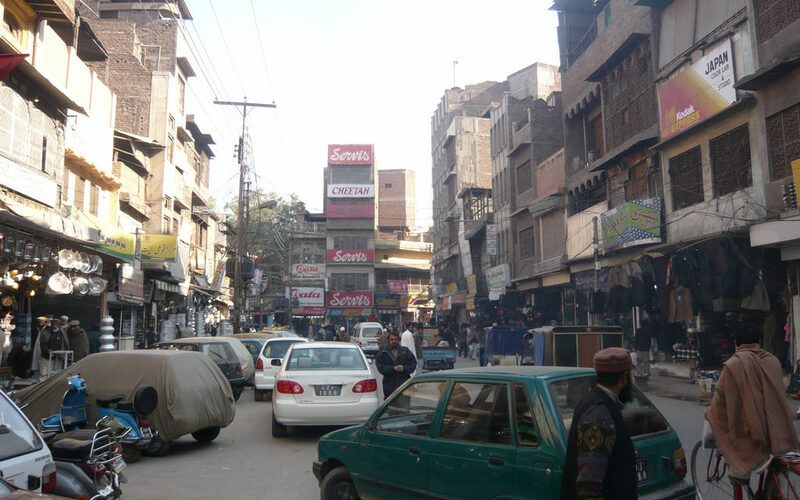 UC-18, covering Peshawar’s old town and the city’s main bazaar, was singled out as a specific target with recent attacks in the neighbourhood targeting Christians, women, and the Shia community. Sectarianism was noted as a core challenge in that particular UC. For local government leaders, this threat has very immediate ramifications. Two District Members were recently killed by gunmen affiliated to the Tehrik-i-Taliban Pakistan. The perseverance of District Members is very much testament to their commitment to see the situation improved and for local government to play a role in rebuilding a more resilient community. Similarly to Nowshera, Peshawar operates a series of local ‘police-community liaison committees’, used as dispute resolution councils to settle predominantly domestic disputes before they reach court. Local government leaders describe a similar operational set-up to that in Nowshera, wherein the committee is chaired by a local councillor, who acts as a neutral arbitrator between both parties, whilst police remain on hand to take forward any criminal charges beyond the remit of dispute resolution. A 90% success (settlement) rate is claimed, arguably incentivised by the fact that it represents a free, swift and ostensibly fair alternative to an otherwise protracted and expensive legal process. District Members cite the Police Order Act 2017 as an example of positive attempts to ensure better coordination of police with local government, emphasising the importance of simultaneously limiting political interference in policing and justice. Peshawar representatives also point to ‘public safety commissions’, but whereas in Nowshera these are described as additional dispute resolution mechanisms with a legal underpinning, District Council officials in Peshawar note the purpose in their city was more that of a check and balance on police powers. They typically comprise retired army officials, elected District Members, and members of the judiciary. In addition, the local police chief is required to present an annual ‘public peace plan’ to the City District Council, which technically holds powers to subject its provisions to scrutiny. Education represents a key area in which the City District Council is exerting increased control and directing growing resource. Of the three tiers of government-run schools – primary, middle and high – the first two are under the direct control of the City District Council, claiming roughly 15% of its annual development budget. The Provincial Government, in control of government high schools, is also directing growing attention to girls’ education in particular. Local government leaders note a significant projected increase in the number of teachers across the province, with the figure of 15,000 additional teachers for KP alone reported. Education represents a key area in which the City District Council is exerting increased control and directing growing resource. Of the three tiers of government-run schools – primary, middle and high – the first two are under the dect control of the City District Council, claiming roughly 15% of its annual development budget. The Provincial Government, in control of government high schools, is also directing growing attention to girls’ education in particular. 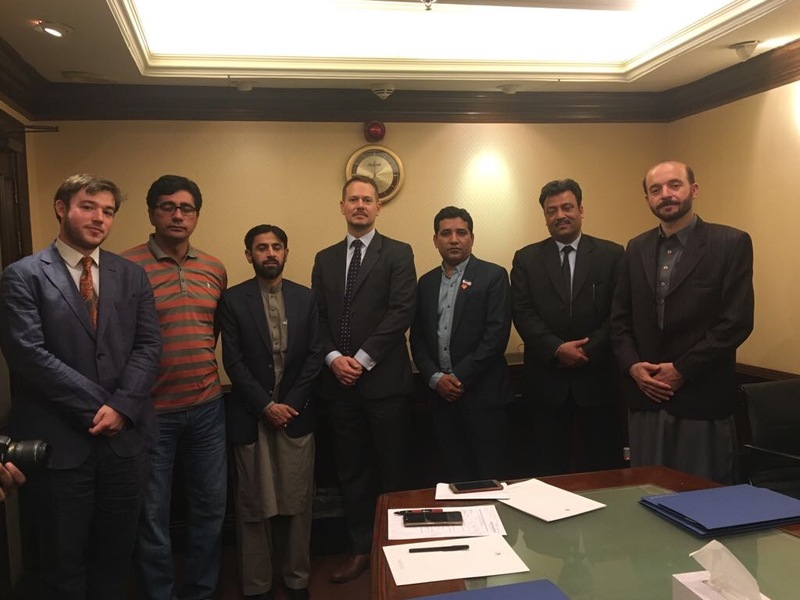 Local government leaders note a significant projected increase in the number of teachers across the province, with the figure of 15,000 additional teachers for KP alone reported.